THE MOST IMPORTANT BUSINESS AVIATION INTERNATIONAL AND LOCAL PLAYERS. During the last fifteen years LABACE received more than 145,000 visitors, 1,830 exhibitors and 650 aircraft. Join LABACE 2018 as Exhibitor or Partnership and be part of this successful show. 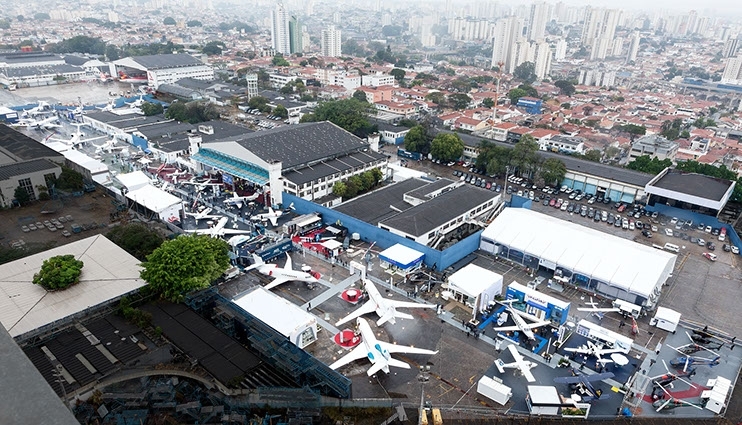 SÃO PAULO, THE CAPITAL OF BUSINESS AVIATION IN LATIN AMERICA WAIT FOR YOUR VISIT AT LABACE 2018! 26% of General & Business Aviation (G&BA) in Brazil. 3,986 Registered Aircraft at São Paulo State. Major São Paulo Airports G&BA Operations. More than 250 options of 3, 4 and 5 stars hotels. More than 10 restaurants awarded with Michelin stars and a multitude of Class A options.